CLIENT LIST For More Information or to Book Your Event, Contact Us! Special appearance for the "1998 ELVIS THE CONCERT TOUR" at Pittsburgh's Civic Arena. Don and Hilda were later interviewed by the Pittsburgh Post-Gazette. 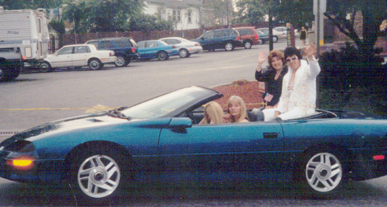 An "Elvis" Car Cruise at Quaker Steak & Lube in Pittsburgh, honoring the 23rd anniversary of Elvis' death. 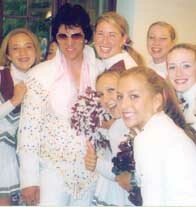 Steve Christopher, noted Elvis trivia expert, also appeared at the cruise.